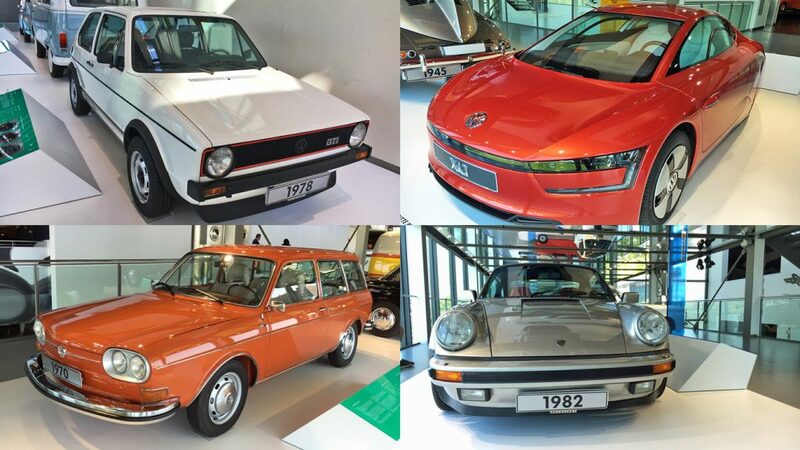 Autostadt (that’s ‘car city’ in English) is Volkswagen’s mammoth visitor attraction, located next to the firm’s HQ in Wolfsburg, Germany. 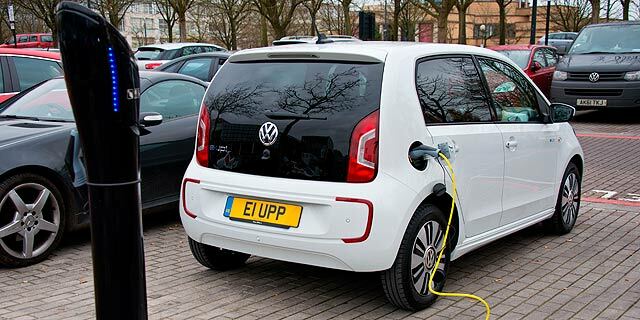 Developed at a cost of more than €400 million, it attracts around two million visitors a year, with each VW brand having its own architect-designed home in the grounds, with its latest models on display. 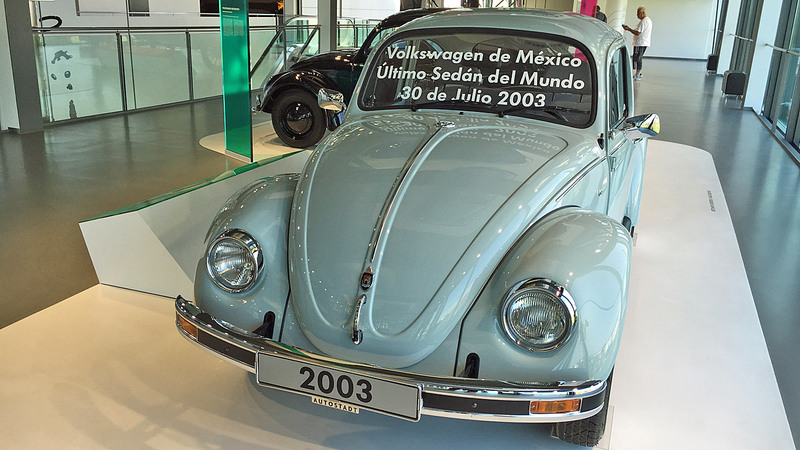 Ah yes, of course Volkswagen’s museum has a Beetle. 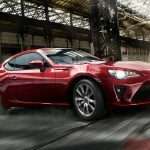 It is quite an important car in the firm’s history. 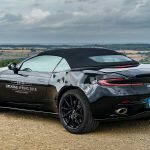 But if you look closely, you’ll see it’s emblazoned with the numbers 2, 0, 0 and 3 on the windscreen and numberplate. 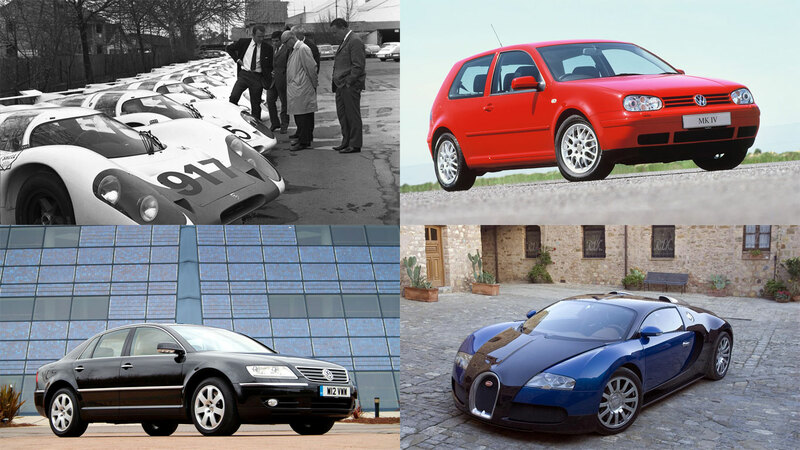 That’s because it was sold (and was hugely popular) in Mexico until 2003, dubbed the ‘Vocho’. 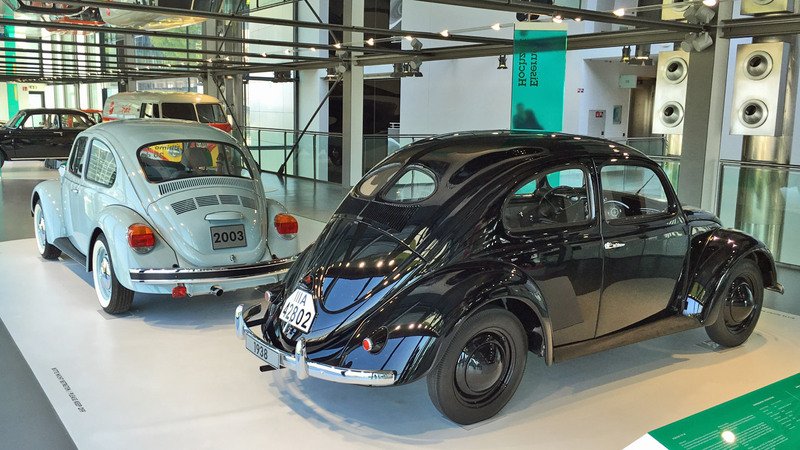 In the background, you may have spotted an original Beetle from 1938. Yes, there’s 65 years between the two cars pictured here. 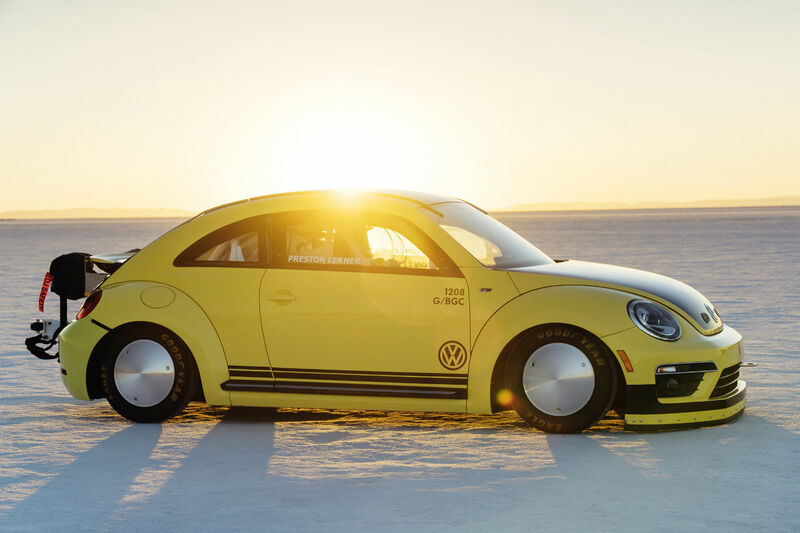 Designed under the watch of Ferdinand Porsche, the Beetle was the vision of Adolf Hitler. 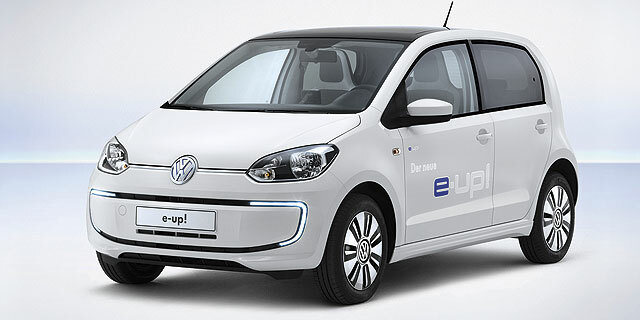 He wanted a cheap, simple car that could be mass-produced for Germany’s new road network. 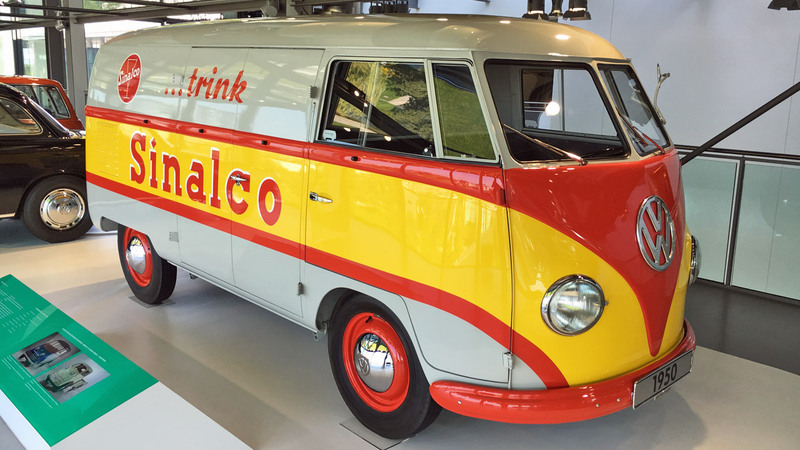 The Volkswagen Type 2 Transporter followed in 1949, providing mobility for Germany’s craftsmen and retail trades. 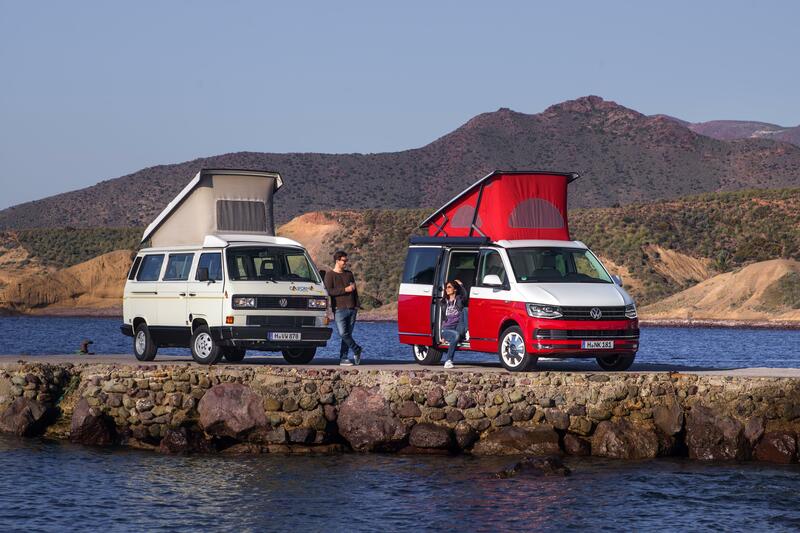 Years later, the split-screen van is now an iconic VW – with a huge following of enthusiasts. Introduced at the 1961 Frankfurt Motor Show, the Volkswagen Type 3 was a mid-sized car designed to appeal to successful people who valued the robustness of the Volkswagen. 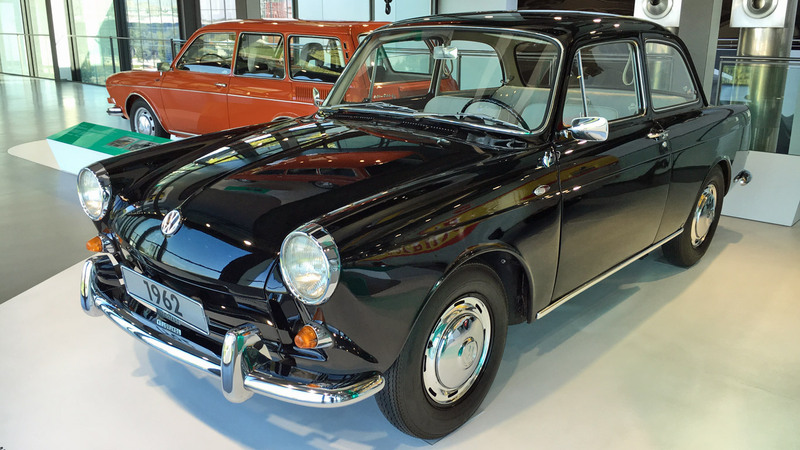 Marketed as the Volkswagen 1500 and later 1600, it was sold in three body styles: notchback, fastback and station wagon (known as the ‘Variant’ in most markets). 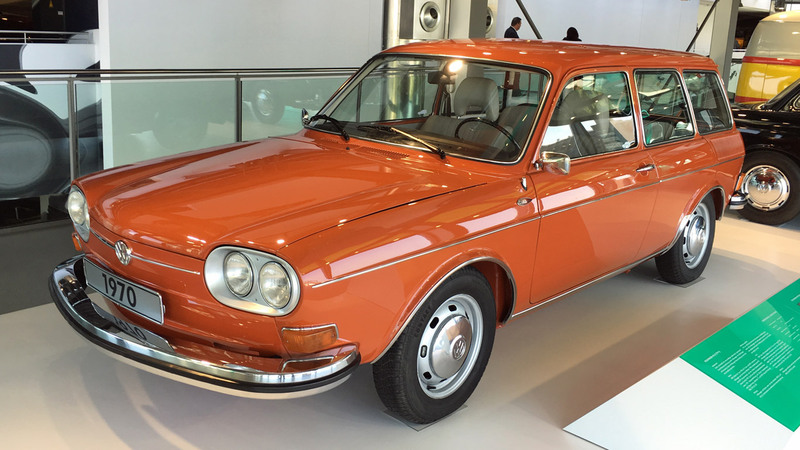 Launched at the 1968 Paris Motor Show, the Volkswagen Type 4 featured Pininfarina styling and was available as a two- or four-door saloon, as well as the two-door station wagon featured in the Zeithaus. As standard for Volkswagens of this era, it was powered by an air-cooled boxer engine located in the rear of the car. 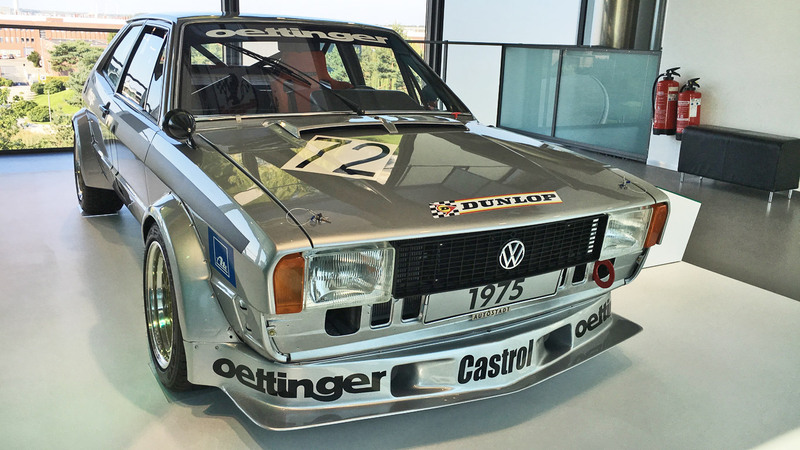 Although Volkswagen and motorsport weren’t initially an obvious combination (it was all about the people’s car, after all), the Group 2 Scirocco pictured here set new standards in the German Circuit Championships. As promised, it’s not just Volkswagens featured in the Zeithaus. 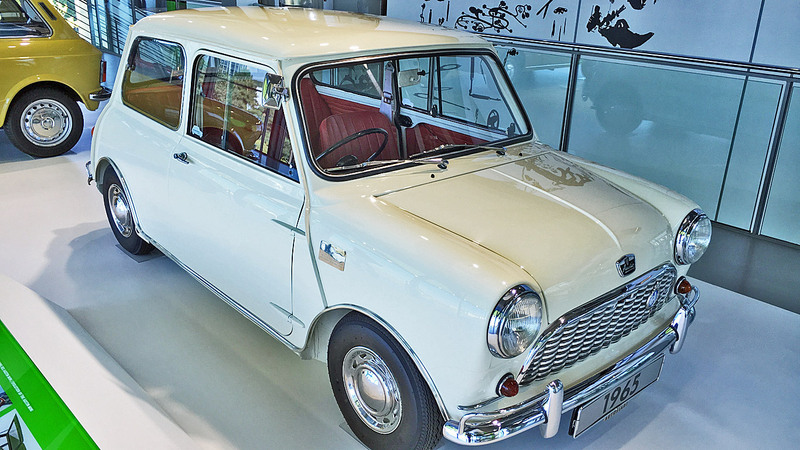 The first production car with a transverse four-cylinder engine and front-wheel drive, the original Mini was a packaging marvel. 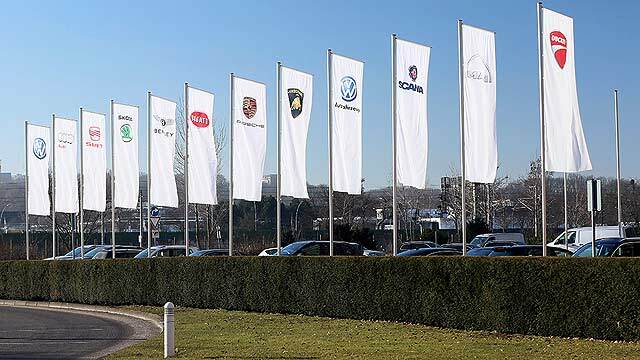 It “set the standards for compact cars”, admits Volkswagen. This example was the one-millionth Mini to be produced by BMC. The Autobianchi A112 followed the example set by the Mini in England. 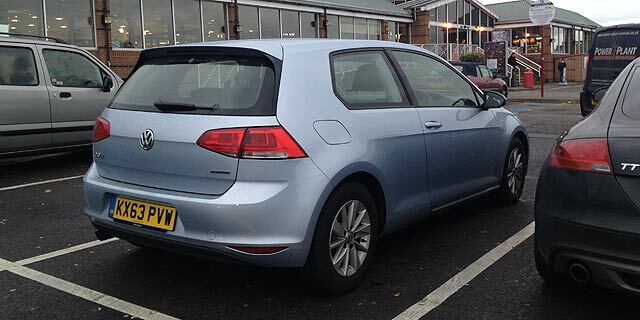 With its variable rear seat and large hatchback offering easy access to the boot, it was more practical than the Mini, while the 44hp engine meant it was faster than the Brit, too. 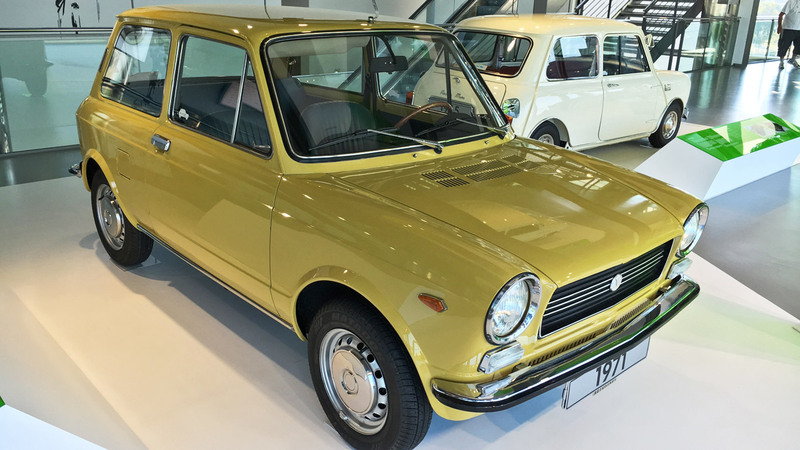 Although popular in its native Italy, the Autobianchi A112 never achieved the same cult status as the Mini. 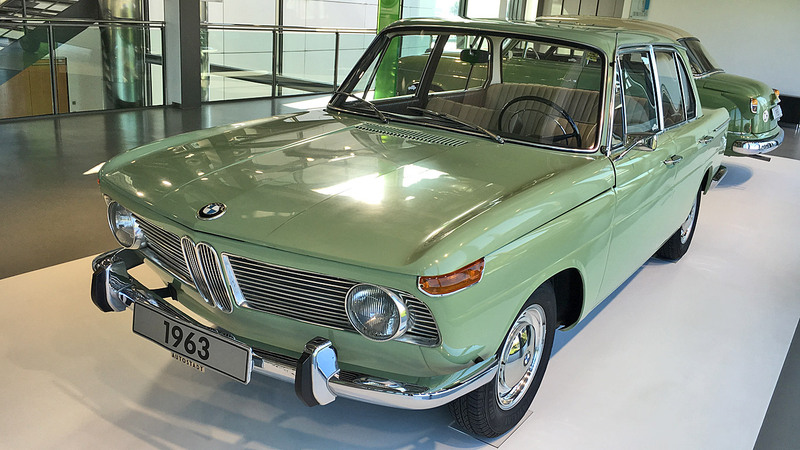 After BMW’s financial crisis of the 1950s, its ‘New Class’ line-up of cars in the 1960s saved the brand from going bust. In 1962, the company broke even for the first time in decades, while in 1963 (the year this stunning 1500 was built), sales increased by 47%.